When you find some interesting information such as some texts or images online, you may ever capture the current page as some format image with some kind of image capturing tool. But if you want to copy image to pdf document, what will you do? Which kind of application you should choose and which conversion method you should take? Please don’t worry, the application PDF Editor will resolve this problem for you. 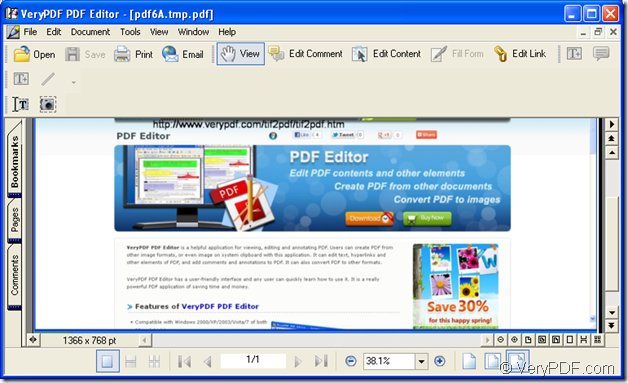 You just need to download a free trial version of PDF Editor at http://www.verypdf.com/pdf-editor/pdfeditor_setup.exe and install it on your computer. Then you will be able to fulfill this easy task. Please open a webpage or some page and grab the current page via clicking “Print Screen” button on your button to save the image in clipboard. Then open PDF Editor application by double clicking its icon or right clicking its icon to open the dropdown list and clicking “Open” option. In the opened user interface of PDF Editor, please click “File” in menu area and click “Create PDF”—“From Clipboard Image” to add the image you copied to the application. Please see it in Figure 1. For copying the image to pdf document, please click “File”—“Save as” to open “Save as” dialog box. In this dialog box, you can make some necessary settings for the target file. Please see “Save as” dialog box in Figure 2. Please choose the output location for the target file in “Save in” dropdown list. If you don’t want to use the default name given by the application in “File name” edit box, please input a new one yourself. The default output format in “Save as type” dropdown list is “PDF File (*.pdf)” which is the right one in this conversion. Then please click “Save” button to save all the settings. Then you will get the output pdf document in the location you have just set. PDF Editor is a helpful application for viewing, editing and annotating PDF. You can create PDF from other image formats, or even image on system clipboard with this application. It can edit text, hyperlinks and other elements of PDF, and add comments and annotations to PDF. 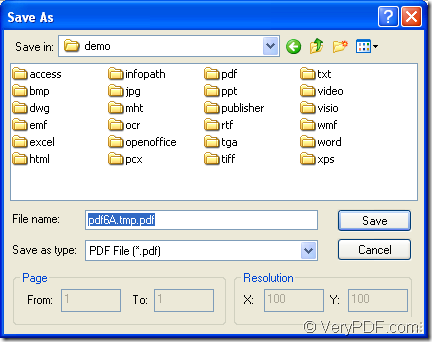 It can also convert PDF to other formats. 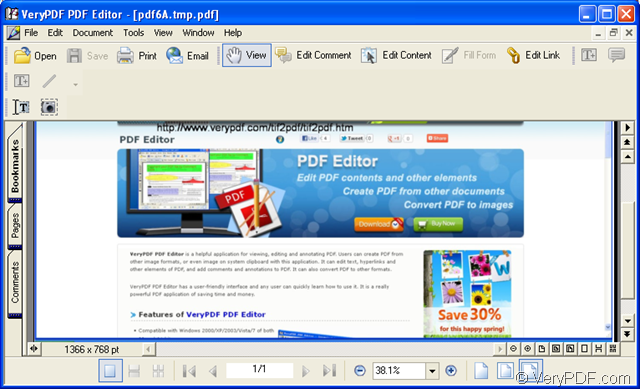 If you want to buy the PDF Editor for using all the functions of it or learn more information about the application, just click the following link to enter its homepage: http://www.verypdf.com/app/pdf-editor/index.html. 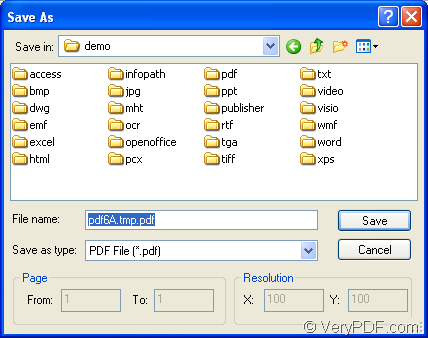 What software is best used to edit a PDF file? This entry was posted in PDF Editor and tagged image to PDF. Bookmark the permalink.